In this age of fluctuating gas prices, it is useful to improve your vehicle's fuel efficiency. Thankfully, there are several basic car maintenance procedures that you can perform that will immediately increase your fuel efficiency. Alone, they may not save you a lot of money, but combined, you may be able to save several dollars per each tank of gas. If you haven't gotten your car tuned up in the last year, you're doing great damage to your fuel efficiency. Tuning a car engine helps it fire more efficiently and eliminates dangerous emission problems. Just how much it will help depends on how poorly your car was tuned before the repairs. Generally speaking, a good tune-up should improve your mileage by about 4% or $0.09 per gallon. However, in severe cases, an improvement of up to 40% is possible. That kind of huge improvement will be noticeable immediately. Obviously, under-inflating your tires will eliminate fuel efficiency by decreasing the surface area that touches the road. However, people who overcompensate by over-inflating their tires are also doing themselves a disservice. Too much pressure may give you a slight increase in efficiency, but also puts your tires under a higher strain and increases their chances of blowing. Instead, look at the sticker in your door jamb to find the proper tire pressure and inflate to that. Never inflate to the maximum pressure! Keeping your tires properly inflated can increase efficiency by 3%, which is about $0.07 per gallon of gas. The wonderful thing about motor oil is that it has become so efficient that it can last far beyond the three-month or 3,000 mile change time suggested by mechanics. Unfortunately, that doesn't mean it stays efficient: beyond that change date, old motor oil gets increasingly thick, murky, and can decrease your fuel efficiency drastically. Just how does old oil interfere with your engine's efficiency? It starts by causing more friction in the engine, which creates more heat. With more heat, your fuel burns at a higher level. This means that more fuel will burn with each stroke of your engine. Getting your oil changed (with the proper suggested brand) can increase efficiency by 4% or $0.08 per gallon. When you're getting your oil changed, make sure to always get your air filter changed. Why? A clean one is necessary for eliminating pollutants that can otherwise damage your engine. Dirty air filters no longer filter efficiency and all sorts of damaging items can get into your engine and decrease its efficiency. However, this is only true of vehicles with carbureted engines: Installing a new air filter can increase its efficiency by as much as 14%. Newer vehicles with computer-controlled engines don't really get an efficiency benefit, as such. That said, it will still increase the life of your engine and make it run more smoothly. The temptation to drive as fast as you're legally allowed is understandable psychologically, but aerodynamically, it is seriously impacting your fuel mileage. There is as a delicate balance between speed and efficiency: up to about 60 miles per hour, your vehicle generally burns less gas as it drives quicker. However, as your car's speed increases beyond about 50 miles per hour, the drag on your vehicle starts to force your vehicle to burn more gas. 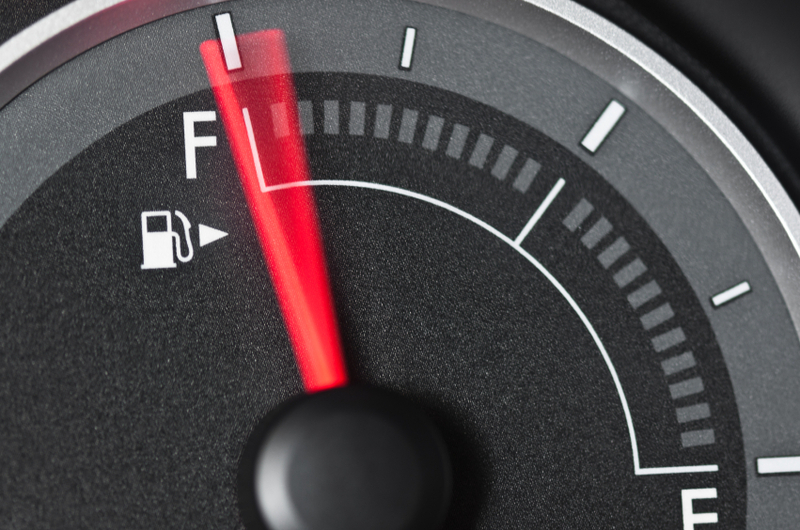 Generally speaking, your vehicle will start to lose fuel efficiency. Often, this can be as high as $0.25 cents per gallon of gas for every 5 miles per hour you drive. Now that you know how to improve your fuel efficiency with these simple maintenance tips, you should implement them as soon as you can. Shaving off an extra $0.05-$0.10 per procedure will add up quickly. If each of these procedures eliminated $0.10 per gallon, you'd be saving $0.50 per gallon. In a 15 gallon tank, that is $7.50 per tank. Over time, that can add up to real savings!